At Sanborn Orthodontics, we love helping people of all ages create amazingly confident smiles. Dr. Robert C. Sanborn and his team are passionate about orthodontics and the changes it brings about in the lives of our patients. 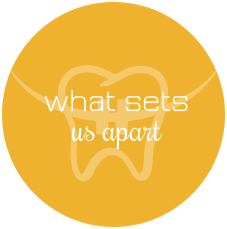 We know your smile needs are as unique as you are, so we deliver personalized care based on your story. Our commitment is to be the best part of each patient’s day, while offering a customer experience that’s better than any our patients have ever had — not just at a dental office. We work hard to make your experience amazing, by treating people right and doing great work! The proof is in the smiles we’ve helped create and the lives we’ve helped change. Orthodontics shouldn’t be complicated or confusing, so Dr. Sanborn and his team have worked hard to make it simple and straightforward. Dr. Sanborn is known for his artistry and ability to customize each smile to bring out the very best in each patient’s face. In addition, Dr. Sanborn will see you at every visit, and he is proud to be on the cutting edge of technology for adolescent and adult orthodontics. At Sanborn Orthodontics, you are the star. We love getting to know you as a patient and look forward to sharing a positive, life-changing experience with your orthodontic care. Our patients choose our practice because they trust that they will receive the most comfortable, honest, state-of-the-art treatments from a doctor and staff who genuinely care. 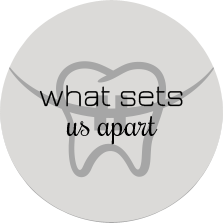 Not all orthodontic offices are the same. Most are, but we aren’t! We believe your experience should be something special. We offer complimentary consultations, including a clinical exam by Dr. Sanborn, at our Morehead City, NC orthodontic office. We can’t wait to meet you and help get your story started! "Dr. Sanborn is amazing with kids, and the Damon® Smile system he uses has the results I was looking for! I would highly recommend to anyone looking for orthodontics on the Crystal Coast: high quality, professional, knowledgeable, and parent-kid friendly! Thanks for helping my daughter smile! "~ Page Y. "Sanborn Orthodontics is always having fun events so you can earn San Dollars, and they can be traded in for some great prizes. The staff are very friendly and are willing to help out in any way possible. They act like they have known you for a lifetime. I would recommend Sanborn Orthodontics to everyone! "~ Andrea G.
"We could not have found a nicer, more professional orthodontic practice than Sanborn. The entire staff is so welcoming, friendly, and helpful. The office is state of the art, and has a wonderful waiting area and overall inviting atmosphere. Our daughter actually looks forward to her appointments! "~ Lori E.
"I love Sanborn Orthodontics, it is the best place to go! I was worried about braces because I have to get them soon and I had heard bad stories. They told me all about the steps and how they do the treatment. Now I am worry-free and ready to get my braces! 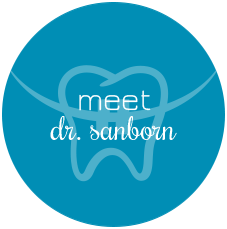 "~ Riley G.
"I am so excited to share my experience about the staff at Sanborn Orthodontics. I had my braces on for 23 months and am so glad I did. The staff was always friendly and I always left happy, even when I had an adjustment. "~ Cheryl S.
One Office. One Doctor. One Focus.